Legendary film director Alfred Hitchcock pays tribute to the "father of the documentary", John Grierson, exploring what made his work so extraordinary and influential. 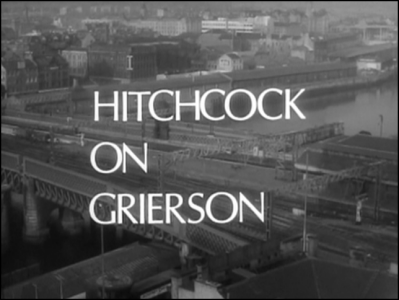 Hitchcock was approached by Scottish Television to provide a narrative to a short documentary about British documentary maker John Grierson. 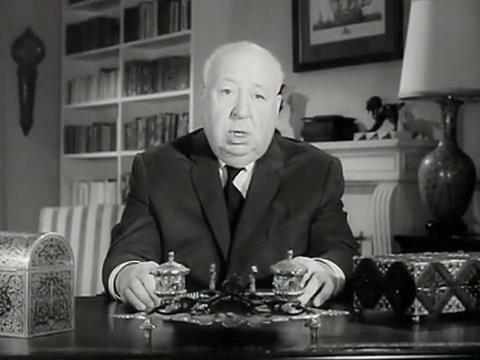 According to Charles Barr, the script was prepared in Scotland and sent to Hitchcock who then filmed his piece to camera in the US. There are discrepancies in the date for this documentary, with some sources claiming 1965 or 1970. This documentary has not been released on DVD. Frank Spedding - "The Heart of Scotland" & "The Big Mill"
Iain Hamilton - "Seawards the Great Ships"